ISLAMABAD: Minister for Human Rights Dr Shireen Mazari on Tuesday reminded the Human Rights Watch (HRW) that Pakistan was aware of its obligations and was committed to protecting the rights of its citizens in pursuance of its Constitution regardless of external pressures. The minister was responding to a letter from Brad Adams, the Asia director of HRW, who had urged the new government to make human rights its top priority. In her reply, the federal minister asked the human rights watchdog to also raise its voice against oppression of the Muslims around the world. “Since the HRW monitors violations in over 90 countries, I hope it will raise its voice against massive human rights violations carried out in India-Occupied Kashmir, Palestine and in some European states against Muslims citizens,” Dr Mazari said. 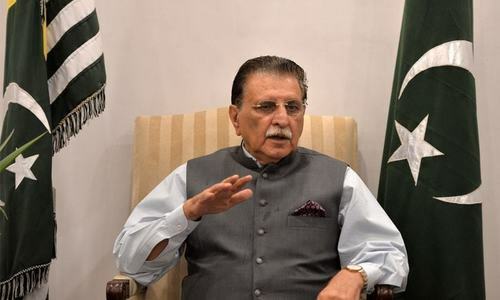 “We are well aware of the need to effectively enforce the laws regarding enforcement of the human rights of all our citizens as well as the need to bring our national laws in alignment with our international legal commitments through the international treaties Pakistan has ratified,” the minister said. She added that Pakistan would do all this because the country believed in fulfilling constitutional obligations. “We certainly do not need to be informed or reminded of our human rights agenda. We know the prevailing shortcomings in ensuring human rights of all our citizens and are working towards overcoming them,” the minister wrote. She also hoped that the HRW would take up the issue of the violation of human rights by some European states against their Muslim citizens in the form of curtailing their right to practise their religion freely and in the form of abuse of Islam and its Prophet (peace be upon him), in direct contravention of the European Convention for the Protection of Human Rights and Fundamental Freedoms. “Since the HRW claims to monitor human rights across the world, I would like to be informed on how you are ensuring the rights of Muslim citizens to have their mosques and be able to dress and practise their religion freely and without ridicule in European states,” the minister responded in her letter. She argued that an NGO’s institutional credibility rested on its commitment to ensuring human rights across the globe, not just in selected states.